Harrowing, eclectic dance music for those who appreciate the esoteric. Grand Mal x surprise us with another release, in companionship with Michael Idehall whose music can be related in one way or another to this project musically, but they deal with the concepts differently. What is most enjoyable when listening to “Darkness” is the complex synthesizers that pin angelic towards demonic – sin against the good – a constant battle between what is right and what is wrong. “Stjärndamm” is our favorite song on this release, with a purposeful barrage of basedrums that hammer into your consciousness, the dreariness of the atmosphere consumes you as it progresses – or regresses. There are some beautiful chords laden from the synthesizer as well, together with second long samplings that pierce through the malevolence of it all – though the concept of it seems beautiful when you utter the title, but the music itself suggests something different. A thoroughly complacent album, a deep insight to everything that shaped and formed Grand Mal x from before – concentrated into a roller-coaster of emotions, messages and sublimity. There are facets you don’t recognize once you hear it the first time, as in “Black Book” which was co-written with Mattias Ivarsson, a very different song that detaches from the release as a whole, but knits it finely together with “A Star For Everyone” – a song also featured on our own compilation “Volume 2 – It Will Never Be The Same“. Buy the CD from the Ant-Zen mailorder, or purchase the digital release below while you’re streaming the release anyway. A hedonistic and spontaneous duo emerged from a collaboration, with people from two countries bordering one another—France and Italy. Public Likes Pills personify the young generation with their sound, incorporating club-culture with degeneracy, pills and substances, promiscuity, being the creatures of the night they portray themselves as—musically. Without having to give into pretentious and the current generation as such, as they romanticize something long forgotten which still exists but as a fragment of its former past. A sound which transgresses your regular disco-beat into some kind of electronica that should remain unclassified, but with a snotty almost uproarious permeation into a general theme. From 2011 and forward they’ve experimented with different sounds, leading into dark electronica and beyond from minimalism to melodious decay. Now they’re placed themselves in a punk-category, beats are harsh bordering to industrial, together with an attitude that can match their lyrical concept. Delphie from the duo has a rather self-willed approach to her vocalization on their songs, while Patrick G. the machinist is the mastermind who pass out dancefloor radicalism. Three years ago their self-titled debut-EP was self-released, featuring a four-tracked repertoire. It contained one of their first proper tracks but not their interpretation of the Judas Priest song “Living after midnight“—a nice effort making a rock’n’roll anthem into a depraved, suggestive, minimalistic rave-and-electronics spectacle. The same year two remixes of their tracks made their Soundcloud, one Club Remix of “Anarchist In Paris“—another of the same track, called Mach Fox Remix (Ugly and Bruised). Both remixes took care of making Public Likes Pills even more distorted and packing a punch then ever, deep baselines with noisily distorted synthpads—contrasted by the buzz-saw-like club remix. Then two years went and another remix-release showed up, this time of a new track by them called “The Tube“, remixed by Fraggle and btN, accompanied by: “Reckless Driving Academy Remix“. From minimalist techno to crazy drug-infused breakcore and dark drumstep, to an arrhythmic wondrous and hypnotic spin-around for danceable purposes. Now they’re back for the non-commercial Ljudkalendern collection. What’s funny about this song they’ve contributed with is that it follows the same pattern which reveals that it’s them, but it doesn’t pack the same harshness as their other tracks. You could almost imagine something more pleasant when listening to it. It’s still a banger, if you’d ever feel hesitant about listening to it. The song is called “I’ll Control” and is a nice anthemic dance-track which will most likely get you to move a few steps in any direction. For the 6th December you’re given the exclusive opportunity to stream and listen to a completely new and original track from Public Likes Pills. We’ve gone clubbing and will be back in the afternoon, because I think the party ends when one of us do. So club into the night while listening to their track, come back when you’ve refreshed and feel alright. Tomorrow night a new one will hit the dancefloor and it might make you distraught, but until then you’ll have fought. Exclusively from the dancefloor: “I’ll Control” as a substance for you to consume, digitally. Better then everything else. 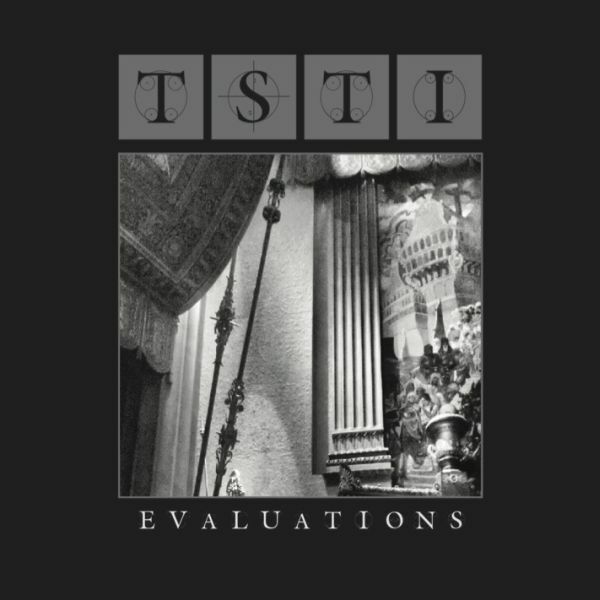 To be honest I haven’t been monitoring the rapid success of TSTI for a while. I remember when he was in the process of releasing his debut-album, but after that he’s also released a follow-up and there’s more yet to come. Sometimes you just loose track of everything when you’re knee-deep into everything. There’s so much to keep your own eyes and ears open to and there’s so much really untalented junk which floats around on the internet—some of it which is received through e-mail that you don’t even open and send to the trash-bin right away—that you get lost, for real. Even though I know that many things are left unexplored, it’s hard to keep it close and actually have the time to listen through it. I’m hoping that my article will do justice to what I’m going to present to you in the end of it. Before that I need to go through what is unique with TSTI and why he’s featured in Ljudkalendern — the unnamed project which got a name, when the final artwork had been received. 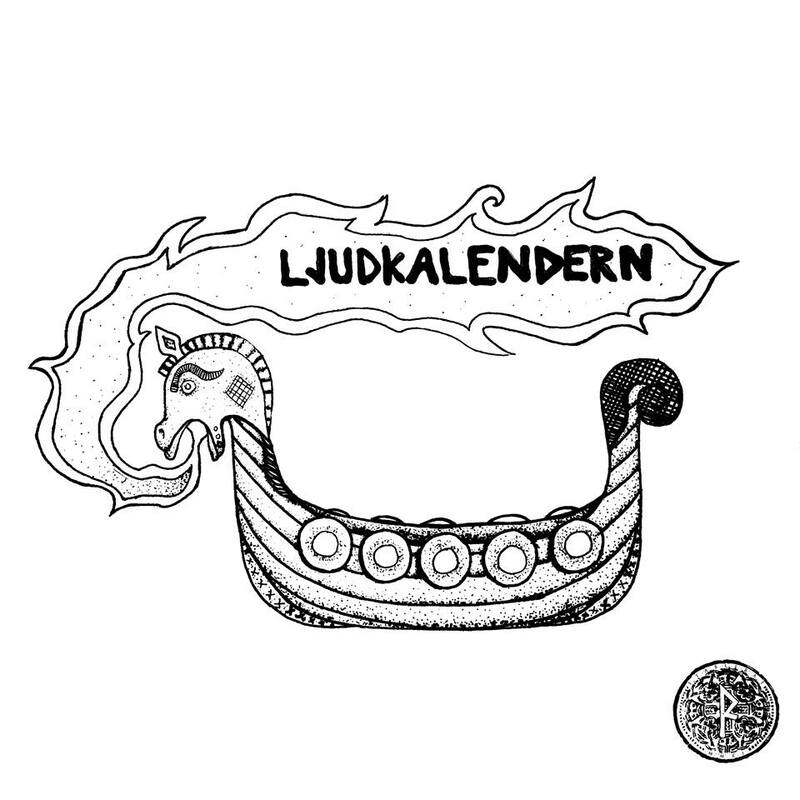 It’s really simple and is kind of catchy in Swedish but not in English, as it translates to: “Sound-calendar“. Therefore I’ve decided to keep the Swedish name. We’re already in December and time flies by like it didn’t even care for us puny humans. Not that it ever does, because it’s not reversible, but sometimes you wish time would have mercy and be slow for once—not only when you’re doing something really dull. It has more to do with our perception than it has to do with time itself, I can understand and cope with that, but I wish I could just stop and reflect for a moment—which rarely, if ever, happens. 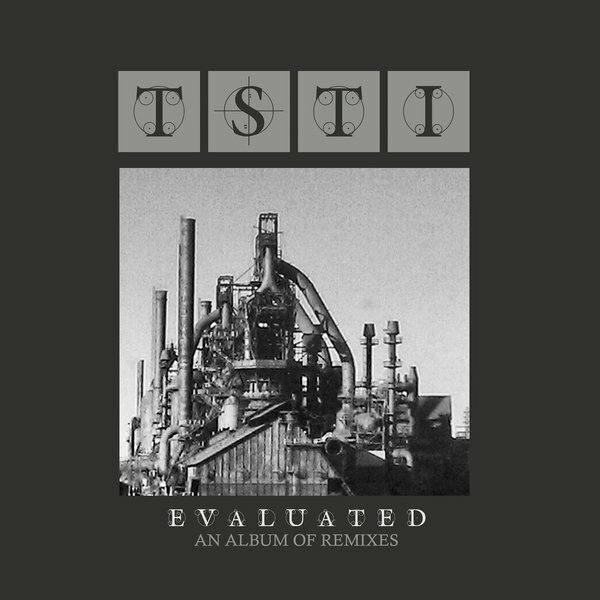 TSTI have been releasing so many great tracks since the first release for this solo-project of his, originally intended to be a bedroom synthpop project, turned into a minor mammoth that just seems to go on and on… and on. I don’t really know if he stays true to what he once wanted for it, but that doesn’t make a difference for me anyway, the only difference that have been made is that he’s evolved really much. From a rather neatly placed synth-pop package with huge ambitions—turned upside down, making it an ambitious project extremely nicely packaged both in sound and aesthetics. His artwork follows a linear curve and the only thing different is the main focus point, which feature an industrial compound (Evaluated), as opposed to the Victorian setting on his debut-album (Evaluations). It will be exciting to see what’s going to happen in 2015 and if the aesthetics will follow the red line, or go past, above, away or beyond it. Because he’s releasing something new in the beginning of next year on Desire — and I’m thrilled about it. So when I asked him if he would be interested in participating in a non-commercial collection that I was making, he surely was and gave away an instrumental version of a track featured on his forthcoming release. It never got onto the official release itself, so I thought—why not place it on Ljudkalendern? Said and done — now we had an agreement. It is my pleasure to introduce to you an instrumental version of the track “This Way“, taken from his coming album that will be out next year—2015. It’s a step away from what I was used to hearing on his debut-album, definitely with obvious leanings to electronic body music and industrial music, but also with contrasts like including a panpipe in an industrialized setting. Harsh beats, complex rhythms and a nicely woven melody which is supported by this bizarre instrument. A thoughtful song which doesn’t become less interesting than the fully vocalized original track. Before you go and listen to it, read my poem about it. Otherwise, if you’re not into poetry — here’s for December the 2nd and a brand new premiere on Ljudkalendern! This is 2nd of December and for now the story is moving straight ahead, but we’re long from close to our final destination. Tomorrow a new song will be released and the story is to be built upon and continued. Until then, enjoy another exclusive song; “This Way” (Inst. Version), on Repartiseraren. Om du någonsin hört talas om pulsdisco, så har du förmodligen kommit rätt. Namnet klingar nog bekant för den som på något sätt intresserat sig av Celldöd. Anders Karlsson som annars fördriver sin tid med projektet Vargdöd, eller som en del av skivbolaget Complete Control Productions, är den som står bakom namnet Celldöd. Ett solo-projekt han driver, som sedan en tid tillbaka fått honom att i början av året släppa “Pulsdisco#1” – som är det första officiella släppet av låtar, på kassett – signerat hans alter-ego. På exakt samma datum, nämligen den 31:a January så kom det även ett nytt album med Severe Illusion – ett projekt som Anders Karlsson också är insyltad i. Så förutom de olika grupper han är med i annars så levererar hans soloprojekt guldklimpar ur den musikgruva som han utvinner mineraler från. Det är något med detta soloprojekt som får en att inse hur bra det är i jämförelse med allt annat som bara försvinner in i periferin. Allt från den acid-sturskna låten “Betong” – som verkligen gör skäl för sitt namn – till det råa musikartilleriet “Ingen Går Säker (Rå-Mix)“, så förstår man att det här projektet gömmer många överraskningar. Även om låtarna har mycket gemensamt så är det en hel del som skiljer dem åt, allt från hårdheten i de bultande trummorna, till den karga atmosfär som går från att vara en oljudsvägg till att bli ett mörklagt inferno. När man talar om det gemensamma så är det förtjusningen inför en slags gammeldags acid-techno-influens som sliter hål i väggarna, men också den stadiga rytmen som bara har ett mål och det är att gå i takt. Det finns inget utrymme för avvikelser när det kommer till rytmen, men det går utmärkt att svänga med syra-melodierna och låtarnas atmosfär. Fast även om det finns restriktioner så kommer det låtar där allting ballar ut och den nya låten, förutom “Ingen Går Säker (Rå-Mix)“, är ett bra exempel på det. Den heter “Terrorbalans” och är tagen från ett kommande split-släpp med Vargs alter-ego Black Leather Harness vid namn “Krig“, som släpps på skivbolaget Brutal Disciplin inom en snar framtid. För den som vill bekanta sig med pulsdisco är det förmodligen ett släpp man bör hålla utkik på. För den som vill bekanta sig med Celldöd så duger det första släppet gott och väl tillsvidare, men det kommer att vara spännande att se vad som kommer ut ur denna allmänna hopplöshet. Man får väl hoppas på att det inte tar allt för lång tid innan man blir invaderad. Ni kan lyssna till låtarna “Betong“, “Pulsdisco 1.2 (Dirty House Mix)“, “Ingen Går Säker (Rå-Mix)” och “Vi Andas Syra” här nedanför. Musik-videon till “Terrorbalans” kan ni hitta ovanför. För den som är intresserad av att se och lyssna till Celldöd live så går Kalabalik på Tyrolen av stapeln den 22:a Augusti. Det går nu även att förlyssna på utdrag från Celldöd-sidan av “Krig“-släppet. Gör det här nedanför.